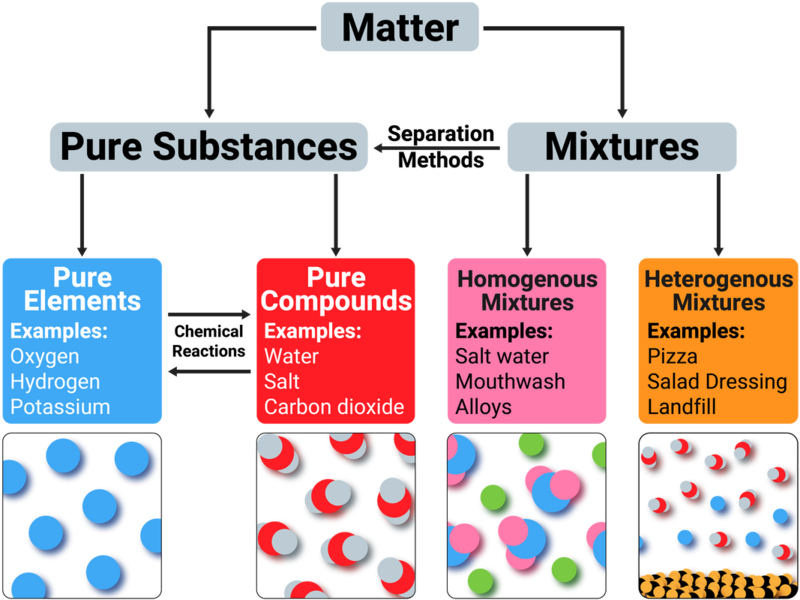 Solids (s), liquids (l) and gases (g) can be represented using particle diagrams. In these diagrams, particles are represented by solid spheres. A pure substance is either a single element, or compound, that is not mixed with any other substance. A mixture consists of two or more elements/compounds, that are not chemically combined together and can be separated by physical processes. Pure substances will melt and boil at specific temperatures, so we can use the temperature that a substance melts/boils at to tell how pure it is. Impure substances will melt over a range of temperatures. If a substance is impure it will generally also have a lower melting point and a higher boiling point. Chromatography is a method for separating dissolved substances from one another. It works because some of the coloured substances dissolve in the solvent better than others, so they travel further up the paper. 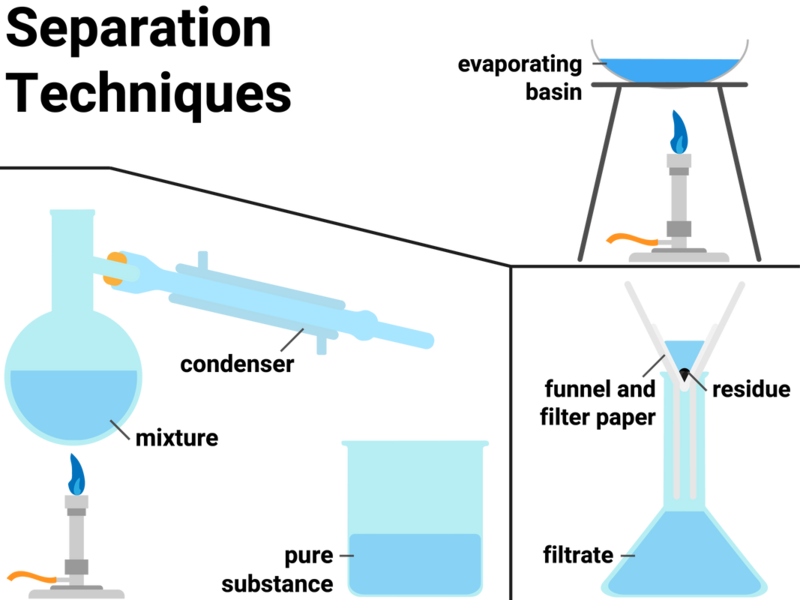 This technique is often used to separate out inks, or food colourings. 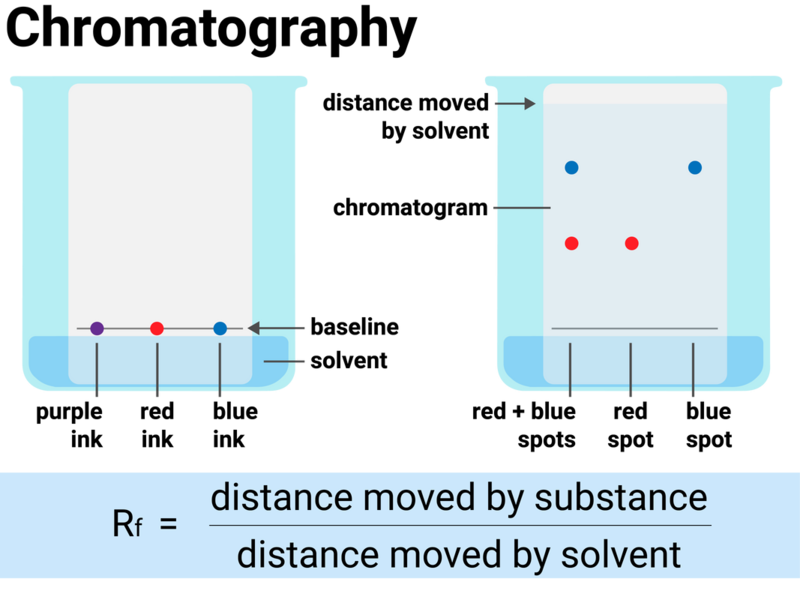 Separation by chromatography produces a chromatogram, and can be used to distinguish between a pure substance (that produces one spot), and a mixture (impure) which produces multiple spots. Different substances will move at different rates through the paper. When setting up the experiment you must make sure to draw the baseline in pencil, otherwise the ink from a pen would also dissolve in the solvent. If supplies of fresh water are limited (such as on an small island), desalination of sea water (high salt levels) may be required. 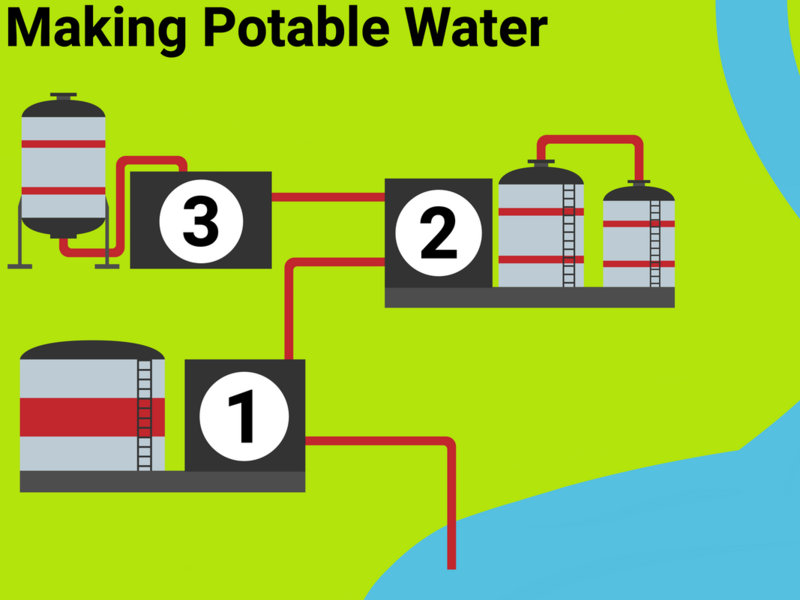 Desalination can be done by distillation. This process requires large amounts of energy and is costly to maintain. When we do analysis in the lab, we normally use distilled (often called deionised) water. This is because tap water contains dissolved salts that may interfer in our readings, so we must use pure water as these salts have been removed.